Imanpour Namin, J., Molayemraftar, T., Rajabpour, M., Heidary, S. (2013). Length-Weight Relationships of Vimba Vimba Persa in Southern Coasts of the Caspian Sea Guilan Province- Iran. International Journal of Advanced Biological and Biomedical Research, 1(10), 1213-1219. Javid Imanpour Namin; Taravat Molayemraftar; Mina Rajabpour; Sanam Heidary. "Length-Weight Relationships of Vimba Vimba Persa in Southern Coasts of the Caspian Sea Guilan Province- Iran". International Journal of Advanced Biological and Biomedical Research, 1, 10, 2013, 1213-1219. Imanpour Namin, J., Molayemraftar, T., Rajabpour, M., Heidary, S. (2013). 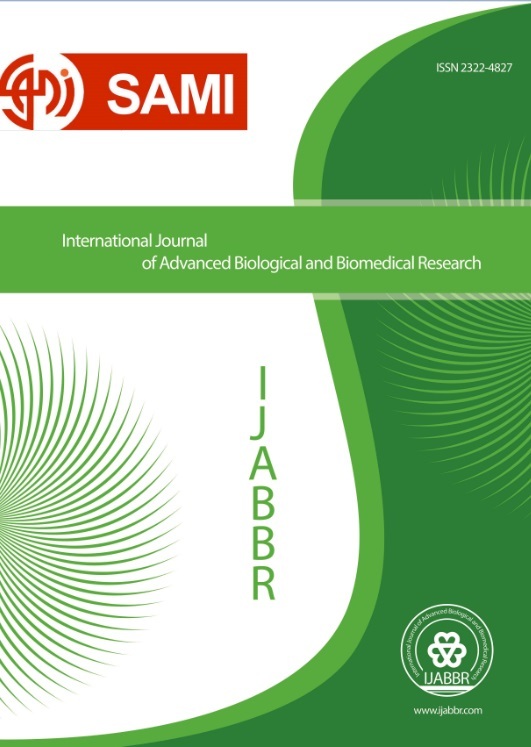 'Length-Weight Relationships of Vimba Vimba Persa in Southern Coasts of the Caspian Sea Guilan Province- Iran', International Journal of Advanced Biological and Biomedical Research, 1(10), pp. 1213-1219. Imanpour Namin, J., Molayemraftar, T., Rajabpour, M., Heidary, S. Length-Weight Relationships of Vimba Vimba Persa in Southern Coasts of the Caspian Sea Guilan Province- Iran. International Journal of Advanced Biological and Biomedical Research, 2013; 1(10): 1213-1219.